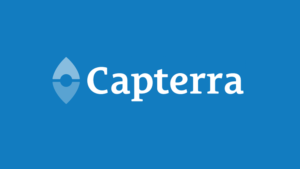 According to Capterra OroCRM is one of the 5 most popular CRM systems in the world. As the only one of the five, it is dedicated for e-commerce companies. OroCRM is an open CRM platform, developed with maximum flexibility to meet all e-business needs. The solution offers reliable features for customer relationship management, advanced reporting and ready-to-use integrations with the most popular e-commerce engines such as Magento. Regardless of whether the company is a large international corporation or a mid-size e-seller, OroCRM is the best solution to manage a large amount of customer data, which results in building lasting relationships and increasing sales. For fast growing online stores, the challenge is managing relations with current and future clients. CRM helps to efficiently sort clients and prioritize tasks for better conversion rates. The ideal situation is to integrate the CRM system with your e-store. CRM then serves as a unified center in which you have 360° view on the relationship with each individual customer. Are you curious what the OroCRM users say about the solution? Read these entries on Twitter! Why do you need a CRM software for your e-commerce company? MANAGING AN ONLINE STORE, BUT STAYING IN DARK HAVING NO INFORMATION ABOUT YOUR CLIENTS? OroCRM works with all major e-commerce platforms such as Magento, WooCommerce, PrestaShop, Websphere and others. As it is an open source system, it easily connects also with other marketing tools and customer service systems. If you have uncommon requirements, consult us about the possibility of additional development and making changes so the software your unique business process. KEEPING THE INFORMATION ABOUT THE ORDERS, SHIPMENTS AND INVOICES IN DIFFERENT PLACES? OroCRM is an easy-to-use open source CRM that effortlessly integrates with other systems and databases. It becomes your customer relationship management center, where you store all key information. You will never have to look in several places for shipping address, or the order you have placed and the invoice issued to it. TREATING YOUR CUSTOMERS ALL THE SAME? TRIED TO SELL NEW PRODUCTS TO PEOPLE WHO DID NOT PAY FOR THEIR PREVIOUS PURCHASES? OroCRM provides full control over information related to each customer and sales. The intuitive interface allows you to easily manage all your contacts and information about them. You can segment your clients based on any criteria, e.g. abandoned baskets, potential customers who repeatedly viewed a given product, or “difficult” and non-paying customers. Based on the created segments, you can launch (or stop) targeted marketing campaigns. SPENDING TOO MUCH TIME ON EXCEL REPORTING? OroCRM offers powerful reports dedicated to e-commerce. You can easily track all important data, from the average value of the order, through lost baskets to general site visit statistics. All data is presented using an intuitive dashboard. What’s more, you can easily generate global reports, such as general revenue from an online store, sales figures and conversion rates. WISH TO AVOID BAD REVIEWS ABOUT THE LEVEL OF CUSTOMER SERVICE QUALITY? OroCRM allows you to quickly and effectively solve customer problems. Thanks to a customer service system integration your service staff can easily organize and prioritize customer support based on renewal data, VIP client information and the urgency of the problem. All that without switching between software! The features provided in OroCRM improve customer satisfaction and thus affect the value of sales. HAVE NO CONTROL OVER SALES TEAMS? STRUGGLING WHILE EXECUTING TARGETS? In addition to tracking and controlling your sales and marketing KPIs, you can set up different workflows to optimize specific sales processes and marketing activities. It is easy to monitor them on dedicated whiteboard views. Integrate OroCRM with the online store. It will help you to better serve the customers. OroCRM allows you to provide not only high quality service to existing customers, but also special attention is paid to potential customers who visit your store’s website. eVolpe specializes in the implementation of CRM systems for large and medium-sized companies. It was a natural progression to adapt to the needs of thriving e-commerce companies. We now offer comprehensive OroCRM implementations, starting from conducting business analysis, through configuration and implementation work, to training and service services. We have the necessary competences to use the potential of OroCRM’s open source code in tailoring the system to the needs of every e-business. Let us talk about OroCRM in your company!